The basket-maker, known for its seven-story replica building and fanatical collectors, is out of business. NEWARK, Ohio – Sales consultants are no longer placing orders for customers, basket weavers are not performing their craft and Longaberger products are not being shipped across country this Christmas season. The basket-maker, known for its seven-story replica building and fanatical collectors, is out of business. Some are bitter over the ending, while others focus on the good times. The Longaberger basket empire, once a $1 billion company with more than 8,000 employees and 70,000 sales associates, slowly unraveled in the nearly two decades since its founder's death. The end came 45 years after Dave Longaberger started the company with five weavers in a small Dresden, Ohio, building, and 20 years since the founder retired and turned the company over to his daughter, Tami. First came the May announcement it was suspending operations. Then, in June, its parent company filed for Chapter 11 bankruptcy. And finally, on Oct. 26, a Texas bankruptcy court granted the conversion to Chapter 7, for liquidation of the company's assets. Patty Marshall, a consultant for 26 years from Martinsville, Indiana, said this year has been a difficult one. “It’s like a death in the family because they’ve been a big part of my life," Marshall said. "This hurts. I think it was poor management. The last few years, more money was being taken out of the company than being put back in." But, for Marshall, and many others, the painful ending of the company cannot erase the many great memories. “My experience with Longaberger has been wonderful," Marshall said. "I can’t imagine the last 26 years without Longaberger because I’d have a big void in my life. My circle of friends increased through the years." The reason for the company's demise depends on whom you ask, and much of it goes back to several events from 1998 to 2001. 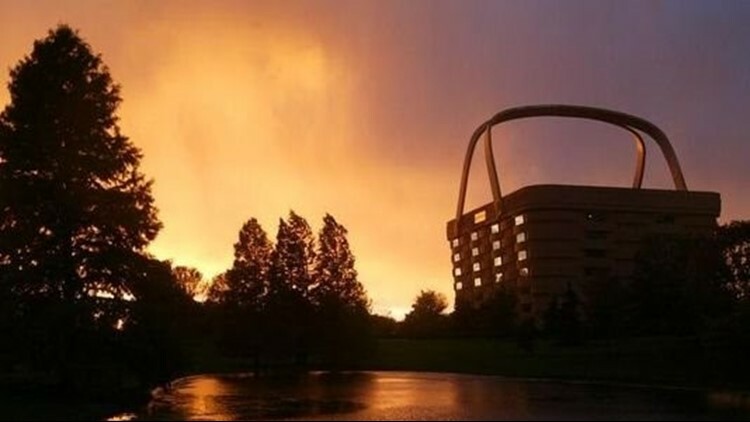 In 1998, the first full year occupying the basket-shaped headquarters in Newark, Dave Longaberger retired from running the day-to-day operations of the company. He died in 1999. In 2000, Longaberger reached $1 billion in sales, its peak year, and ranked as one of the 500 largest privately held companies in the U.S.. Then came the terrorist attacks on Sept. 11, 2001, an economic recession and a changed marketplace. The company brought joy, prosperity and big dreams to many around the country for many years. Dave Longaberger receives much of the credit. His supporters say he was impossible to replace. Sara Clancy, 37, a Longaberger collector in Ohio, said her grandfather often talked about Dave Longaberger when he drove a tour bus for the company. Dixie Rollison, of Dresden, who worked in shipping for the Longaberger company for 29 years, said Dave Longaberger had a unique personality that endeared himself to his workers. “Dave always came in and joked with us," Rollison said. "It was a fun place to work, but serious when we had to be. Dave was loved by everybody in this town. You’d think he was God. With his passing, it was a very hard time for everybody. Many blame the company's demise on the founder's daughters: Tami Longaberger, company CEO and president at the time of Dave Longaberger's death, and sister Rachel Longaberger Stukey, who was president of The Longaberger Foundation. Overspending and mismanagement are the usual allegations. Stukey, in an email response to Advocate questions, said her father's death was difficult for the company to fully overcome, even though it survived for 19 more years. "The sudden and unexpected death of the founder, CEO and chairman of the board, set the business and its operations on a chaotic trajectory," Stukey wrote. "The iconic leader and THE driving force behind every aspect of the company was a healthy 61-year old man one day and was a terminally ill, stage 4 cancer patient the next." During the ensuing 18 months of surgeries, chemotherapy and experimental treatment, there was no course set for what to do if he died, Stukey said. "There was NO preparation for this event," she said. "We all thought we had decades to deal with the notion of him being gone. There was no previous succession plan or even a transition phase for the business." Several consultants have said pottery became an issue with their customers, for various reasons. The decision to have pottery made in China was not popular, Rollison said. “I lost some customers because of that, because Longaberger had always been ‘Made in the USA.,'" Marshall said. In 2009, Longaberger announced it would begin selling a new pottery line made in the United States, as a response to requests from consultants and customers, but would also continue to sell its pottery line made in Asia. Many of those who do not blame company management for the company's collapse argue that the marketplace changed, and the popularity of baskets declined. The 9/11 terrorist attacks hurt the economy, and then the Great Recession changed spending habits. Clancy said she owns about 100 baskets, which is unusual for someone in their 30s. But, her love of baskets can be attributed to her grandfather driving Dave Longaberger around on a tour bus. “It’s big to me because it has sentimental value," Clancy said. "Not a lot of friends my age have baskets, and don’t go out and buy baskets. Younger people are not as into baskets." But, Wolverton said she created a market for farm baskets. The company just diversified too much, she said. "That's why I'm so frustrated," Wolverton said. "I know there's a market there. I think it's marketing. We were marketing the wrong stuff. They didn't want to buy hand cream, jewelry, pictures. "My goal was to market baskets, because when I joined the business, it was a basket company. I could sell them now if I could find somebody to make them." Dave Longaberger's goal, however, was to diversify the company to the point it was making everything for the home, and then build the homes, as well. Tami Longaberger sold the company in March 2013, to CVSL, which later became JRJR Networks, run by John Rochon Sr. and his son. Longaberger was the first of several direct-selling companies JRJR acquired in an effort to boost all the companies by pooling and sharing resources. But, employees and consultants describe the last few years as the most chaotic in the company's history. Matthew Clark, who started as a temp and became a senior accountant in less than three years, was laid off the day Longaberger left the Basket Building in Newark on July 15, 2016. When he started, a year after the sale of the company, there were about 300 to 400 still working in the iconic building. But there was a big layoff in the summer of 2014, and another one in the spring of 2015, he said. Clark said he thinks Tami Longaberger regretted selling the company and could do little to stop the collapse. There was way too much inventory, no communication between departments, and a Texas company trying to merge the financial statements from multiple direct-selling companies into one public presentation, because company stock was sold on the New York Stock Exchange. "It was spring 2015, when the wheels really started to come off," Clark said. "The company was not meant to scale down." Marshall estimates she lost $6,000 to $7,000, but doubts she will ever be compensated. "Pottery has been back-ordered for two years. The company said it was more important to pay electric bills instead of the pottery." But if Wolverton is right and the market for baskets still exists, is there any chance of a Longaberger Company resurrection? "Dad raised me to live on optimism," Stukey said. "Nothing is forever. I hope and pray that somebody with a heart for the business and the fortitude to rebuild can resurrect the company and operate it based on its original principles – the principles that made it successful for many decades and benefited many people."